New Mexico is a state in the southwestern United States, bordering Mexico. The state was part of Mexico before the Mexican-American War (1846 to 1848) and is home to the highest percentage of Hispanic population, and the second highest Native American population of any state. 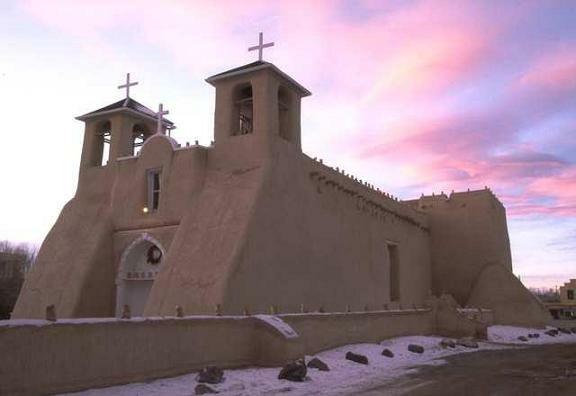 The capital of New Mexico is Santa Fe, but the state's largest city is Albuquerque. Other important cities in New Mexico include Alamogordo, Artesia, Carlsbad, Clovis, Corrales, Deming, Espa�ola, Farmington, Gallup, Grants, Hobbs, Las Cruces, Las Vegas, Los Alamos, Los Lunas, Lovington, Portales, Rio Rancho, Roswell, Ruidoso, Silver City, Socorro and Sunland Park. There are many attractions in New Mexico. 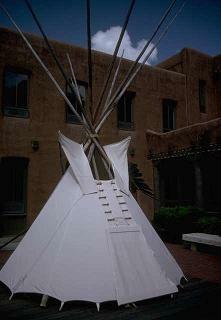 Museums in the state include the New Mexico Museum of Natural History and Science (in Albuquerque), and the Museum of International Folk Art (in Santa Fe), the latter of which is home to the world's largest collection of folk art. Roswell is of course famous as the site of an alleged flying saucer crash in 1947, and in that city, you'll find the International UFO Museum & Research Center as well as many other sites of interest to ufologists. Also on a space-theme, be sure to visit the New Mexico Museum of Space History in Alamogordo. There are also several zoos and biological parks in the state, and if you're in Albuquerque in October, be sure to catch the Albuquerque International Balloon Fiesta. Finally, though many people tend to think of New Mexico as a hot desert state, there is also some excellent skiing in New Mexico. Some of the leading educational institutions in New Mexico include New Mexico State University (in Las Cruces) and the University of New Mexico (in Albuquerque). Probably the best-known professional sports team in New Mexico is the Albuquerque Isotopes (Pacific Coast League baseball) who are based in Albuquerque. The main airport serving New Mexico is Albuquerque International Sunport which is in Albuquerque. Places to visit in New Mexico. Guide books with travel information for New Mexico. Details of skiing in New Mexico. Towns and cities in New Mexico.